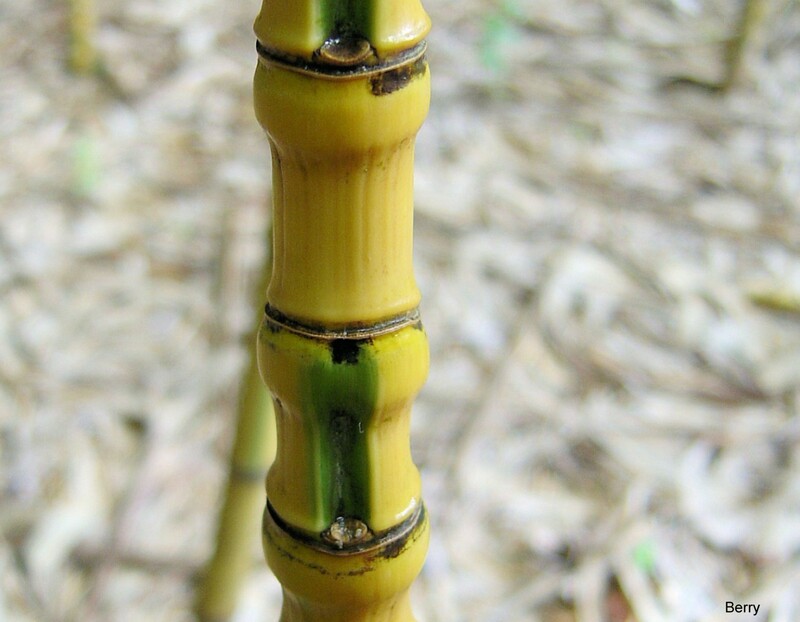 Comments: It has short internodes at the base of some of its culms which resemble the hand grip of a walking cane. This feature makes it easy to identify. It is an aggressive spreader where summers are long and warm. Although the culm grooves remain green, it turns from green to yellow in about 6 months.